Unwritten rules aren’t just in baseball. 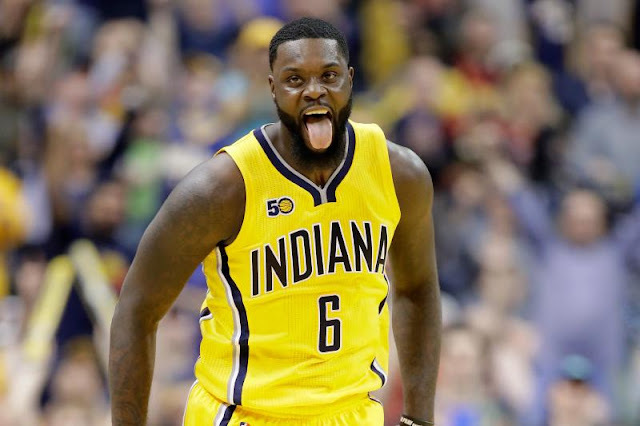 We got a reminder of that Tuesday, when Lance Stephenson upset the Raptors at the end of the Pacers’ 108-90 win. With the game all but decided and the shot clock turned off, Stephenson took an outlet pass from Paul George and nonchalantly finished a breakaway layup. The Raptors immediately confronted Stephenson, who was playing in his first home game since re-signing with the Pacers last week, apparently upset that the veteran forward was running up the score. But a day after the altercation, Stephenson fired back at the Raptors, posting footage on his Instagram account of Raptors forward Norman Powell throwing down a windmill dunk last season when Toronto was up 22 points with the shot clock turned off against the 76ers. Tough to argue with Stephenson on this one. If the Raptors had not done this — last season, no less — then it would be easy to understand why they were so mad. But doing the same thing to a 76ers team that won just 10 games last season? The Toronto Raptors took exception to Lance Stephenson's decision to break an unwritten rule Tuesday night when he converted a layup in the waning seconds of the Indiana Pacers' 108-90 win at Bankers Life Fieldhouse. On Wednesday, Stephenson responded with a post on Instagram that depicted Raptors guard Norman Powell throwing down a windmill dunk in the final stages of a 24-point win over the Philadelphia 76ers last April to highlight what he believes was hypocrisy on Toronto's part. In the caption, Stephenson wrote: "They got mad at me for what I did but look at this. All I did was jelly. When Lance Stephenson do it's a big deal." Not only did Stephenson's decision to head to the tin with time winding down incite an altercation on the floor, but it provoked Raptors swingman PJ Tucker to lash out at him after the game. 0 Response to "Lance Stephenson calls out Raptors for breaking the same unwritten rule he did"